One of the improvements made in AS3 is how you load external content into your application. Some of the new changes make it easier for you to initiate and measure the progress of a download - something which was always a bit of a challenge in the AS2 world. 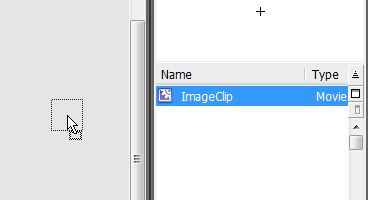 In the above example, when you run, an image stored in the same folder as the SWF is loaded and displayed. I know it is hard to see that, but don't worry, for you will be able to display this very quickly on your own computer very quickly. 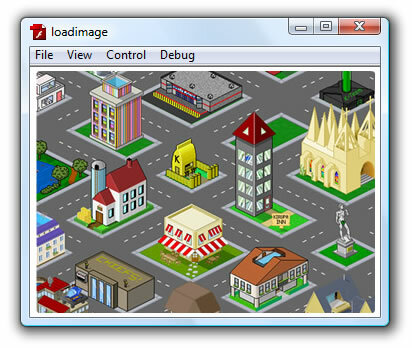 First, create a new Flash CS3 application and save this application as loadimage. For this article, the size of your stage, the background color, etc. are not that important, so feel free to leave everything at the default settings if you want. 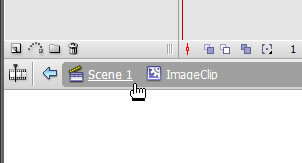 Once everything is set, press OK to close this dialog and to create your new ImageClip movie clip symbol. 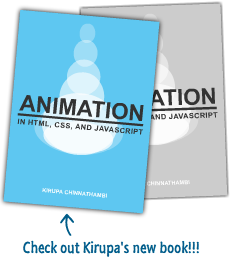 All right - you are done with the UI part of this tutorial. 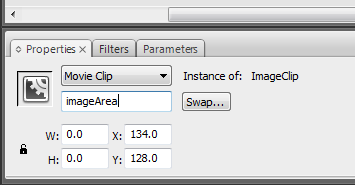 In the last five steps, all you really did was create a new empty movie clip that you dragged to your scene and gave it the instance name imageArea. In the next page, let's go further.